It looks inevitable that for two elections running no party will win an overall majority. Moreover, in the event of a hung Parliament and another election being held within 12 months, there is little to suggest that the result would be significantly different. All this is evidence not that Britain is hopelessly divided, rather that Britain is entering a period of major change in the functioning of its democratic system. British voters are not going to give a mandate to govern to a single party for the foreseeable future. This has been the basis of British democracy in all its various incantations for hundreds of years, from the time of elite voting to mass democracy. The two party system and its symbiotic first past the post electoral system no longer represent the wishes or have the ability to solve the grievances of the British public. British democracy has evolved continuously to adapt to societal changes, it will evolve again and adapt to this present situation. The BBC Question Time debate from Leeds where members of the audience questioned the three main party leaders is perfectly representative of this. Miliband and Clegg were asked about holding a referendum on Europe – “Why is your voice more important that ours?” was how the question was framed. Miliband and Clegg responded with answers on leadership and on future referendums related to further seceding of powers to the EU level. Of course what they should have responded with is that Britain is a Parliamentary democracy and the citizen’s voice is confined to the ballot box for Westminster elections. Referendums have no constitutional basis in the UK. They are arbitrary votes in that they are held and interpreted by Parliament. For instance the Scottish devolution referendum in 1997. It was decided by the Labour government that it would be held, if it had been reject the government could have ignored the vote and proceeded on with devolution. The only fallout would have been political, not legal. The main reason why there is all this push for a referendum on Europe is because Eurosceptics know it is the best means to achieve exit from the EU. Parliament will not vote to leave as party elites will whip through a No vote. This is not to argue the rights and wrongs of British exit from the EU but it raises the question of why only the EU issue? Why not membership of NATO, the UN, the Kyoto climate change agreement? Voters clearly like the idea of referendums. But they don’t appreciate that it would fundamentally undermine the sovereignty of Parliament. Another question asked of Cameron and Miliband was why they refused to countenance pre-election talk of a coalition when opinion polls show it to be inevitable – “Do you realise how much respect you would get if you admitted you would not get a majority?” was a question to Miliband. Again this is a clash between how citizens want the democratic system to work and how it works in reality. Had Miliband admitted he was planning for coalition then it would have allowed Cameron to argue that only a vote for the Conservatives could produce a strong and stable government. Despite Labour being more coalition ‘friendly’ to the Liberal Democrats and SNP, the convention is that the largest party has the most legitimacy in British politics. But this only applies when they have a majority of seats. What is the means for government formation when no-one wins a majority of seats or votes? Other democratic states have a clearly defined legal set of rules for government formation. Principally this involves a formateur (usually the head of state) leading negotiations and inviting parties to join or leave the government formation discussions. 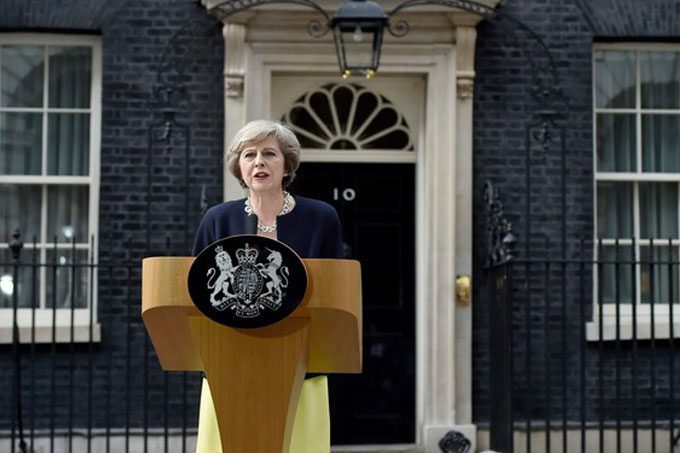 While the UK has a clear set of rules for coalition government formation, they are untested and almost wholly ignored by a political system and media ignoring the inevitability of a sustained period of coalition government. This head-in-sand mentality inhibits party leaders from offering a viable alternative government before an election thus leading to ‘broken promises’ when they are implementing a joint programme for government. Nick Clegg and the Liberal Democrats know this to their detriment after their support for the raising of Tuition fees. This is clearly not what citizens want. They will not give a single party control over government. Coalition is here to stay. It is time for the two main parties and the media to recognise this. The rise of UKIP was the story last year but this year it is the triumph of the SNP. Despite campaigning for Scotland to remain in the Union, Cameron and the Conservatives are now calling for increased England only votes. It would appear that he has significant public support for this call among English voters, indeed Miliband has ruled out coalition with the SNP on the basis of the strong opposition of English voters to the SNP. Again we see a clash between the wishes of voters and the constitutional situation. How can the wishes of the Scottish voters to vote for the SNP, and of English voters to reject the authority of a party they can’t vote for? There are many different answers but it is obvious that some form of constitutional settlement between the different countries of the Union is the only plausible end result. The issue linking the latter three points is of course the electoral system. The British public will be voting for UKIP, SNP, Greens in large numbers. These numbers will only be reflected in seats for the SNP. Despite taking hundreds of thousands of votes both UKIP and the Greens will likely end up with only a seat each. The inequity of the situation is not being lost on British voters. 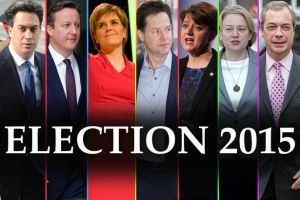 Regardless of the chance of the UKIP or Green candidate winning, they will receive many votes from frustrated Conservative and Labour supporters. Yet again we see the conflict between the desire of voters and the democratic reality. In 2011 voters were offered the chance to change to the AV system and it was decisively rejected. Now it would appear that they are voting in a defacto PR manner. This election is not just about austerity now or later, or about saving the NHS or about holding a referendum on Europe. It is about more fundamental longitudinal issues intimately related to the functioning of British democracy. These issues are floating around the surface – formalisation of referendums in the British constitution, electoral reform, legislation around coalition formation – but few have argued that they need to be addressed collectively. This is the time for leadership on these issues. Citizens have a vague inclination of what they want but a more systematic process that leads a national discussion on the future of British democracy is a priority for the country.